Since we began operating our cycle tours and guided walking tours in 2003, we have become affiliated with a number of tourism organisations within New Zealand. Qualmark is New Zealand tourism’s official quality assurance organisation, providing a trusted guide to quality travel experiences. A Gold Award is recognises the best sustainable tourism businesses in New Zealand, with the delivery of exceptional customer experiences an integral part of everything they do. A Gold Sustainable Tourism Award identifies those businesses leading the way in making the New Zealand tourism industry a world class sustainable visitor destination. 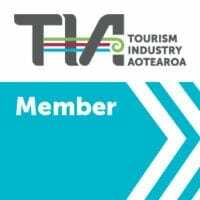 PureTrails New Zealand has signed up to the New Zealand Tourism Sustainability Commitment. To deliver on this, we must achieve ambitious economic goals while sharing the overwhelming benefits with supportive host communities, contributing to restoring, protecting and enhancing our natural environment, and continuing to be a high quality destination of choice for domestic and international travellers. ‘Nga Haerenga, The NZ Cycle Trail’ originated as a partnership project between the Government and the Green Party of New Zealand. It all started with an idea in February 2009 to build a network of cycle trails that would provide a healthy and enjoyable way for Kiwis and International visitors to see the country, and generate economic, social and environmental benefits for our communities. The Government invested $50 million into turning this idea into a reality, with additional contributions of $30 million from local Government and cycle trail Trusts resulting in 23 Great Rides being established across the country. The Tourism Industry Aotearoa is the largest representative body of tourism operators in New Zealand. It is a membership-based and private sector trade organisation with about 1500 members who collectively make up 85% of the country’s tourism turnover. Cycle Tour Operators New Zealand (CTONZ) was formed in November 2006 when 13 operators met in Christchurch and agreed to form a professional organization of cycle tour operators. The aim of the group is to promote cyclist safety on New Zealand roads, trails & cycling routes and encourage professionalism amongst New Zealand cycle tour operators with all companies operating to the same approved standards.